The deep blue jewel of Boot JuJu! 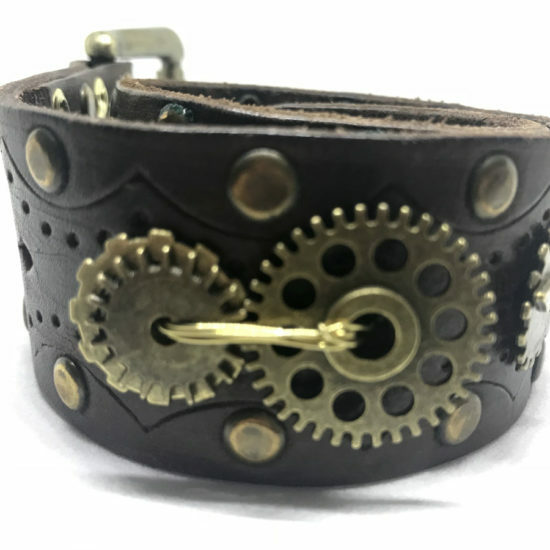 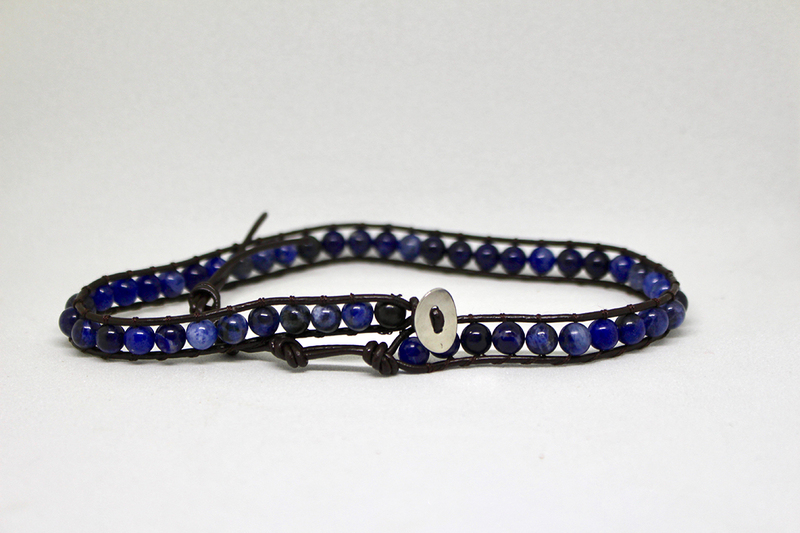 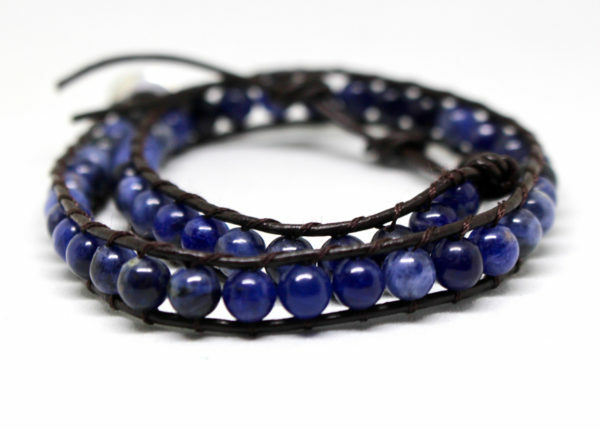 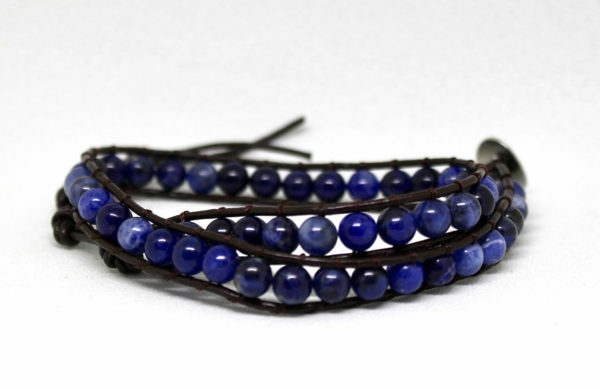 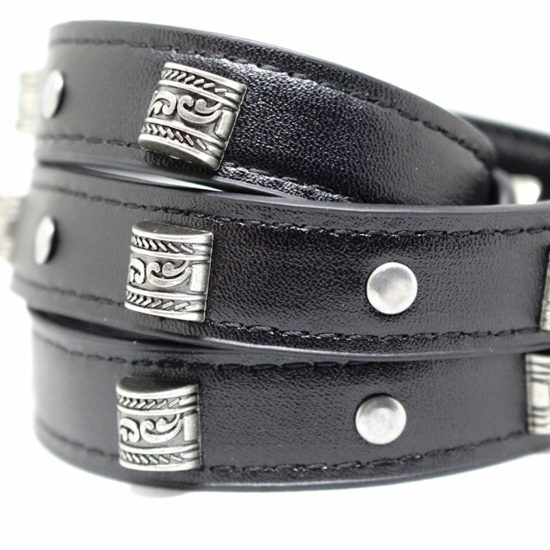 A string of 48 blue stones threaded together with leather and an adjustable, silver buttoned tie clasp. 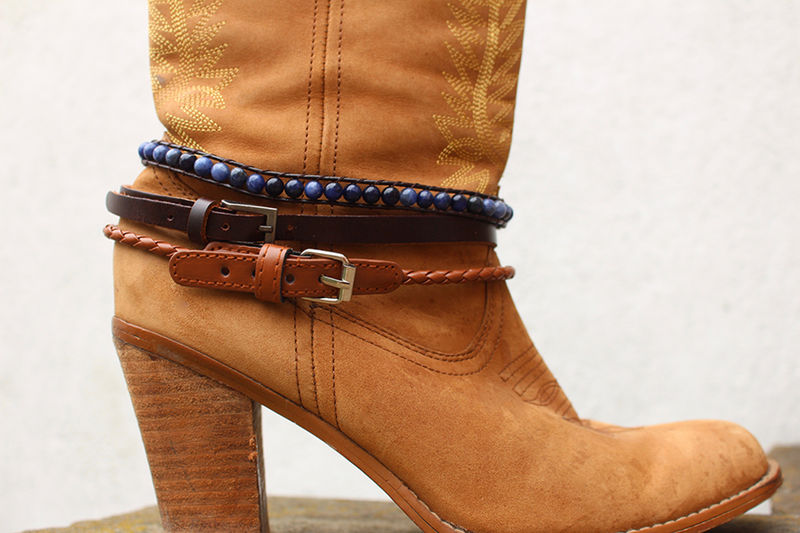 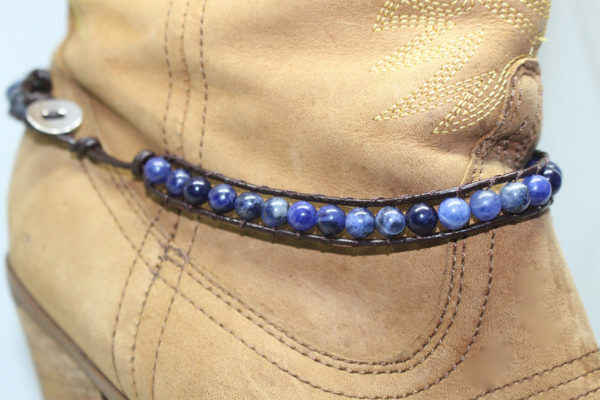 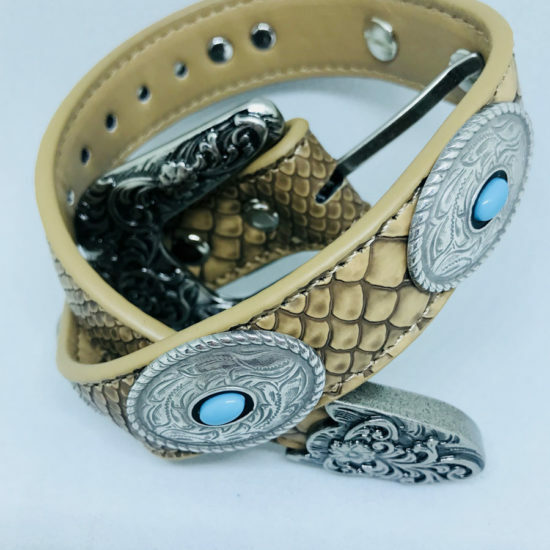 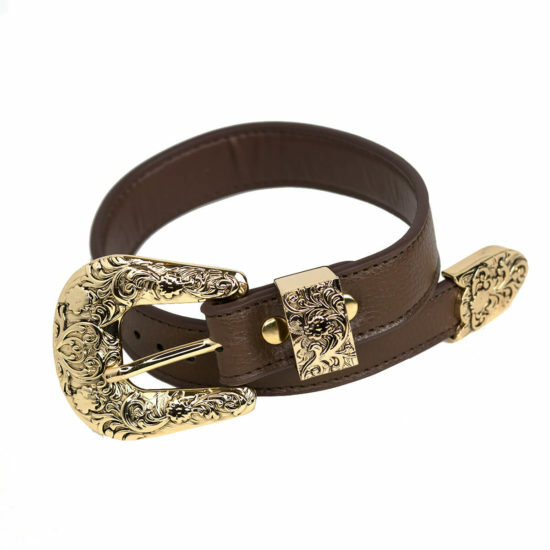 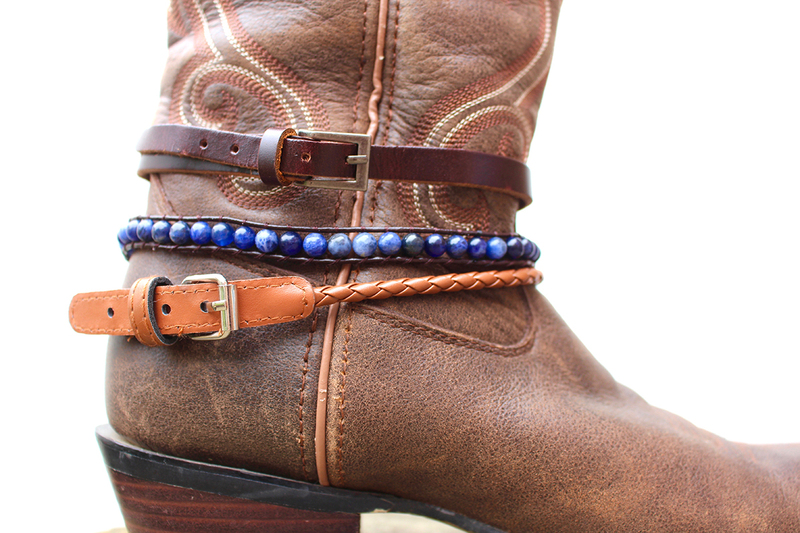 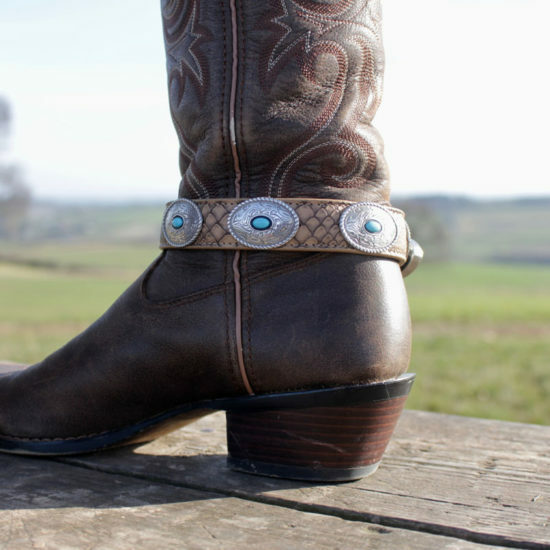 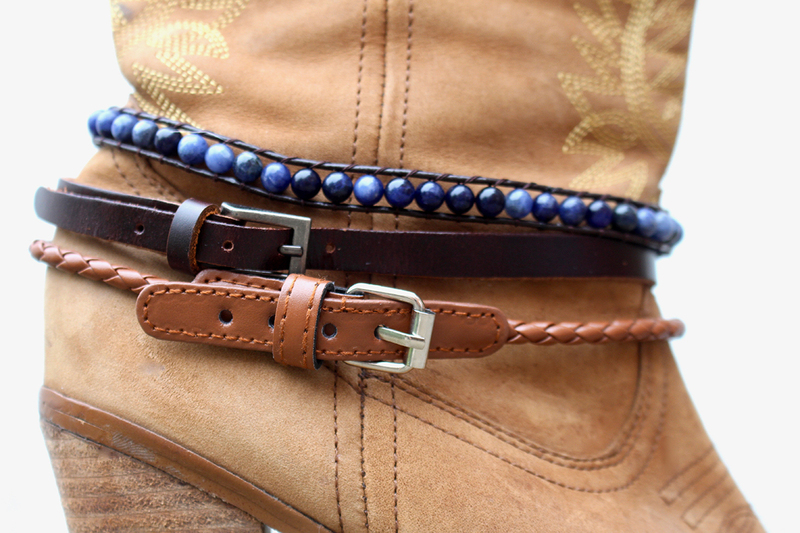 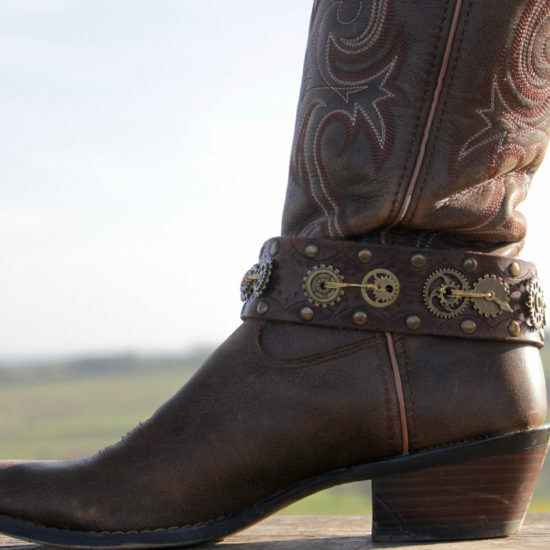 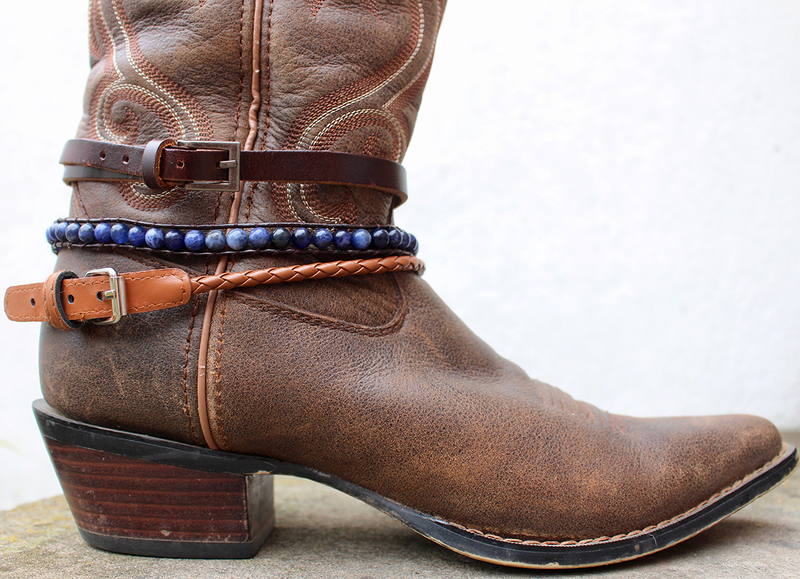 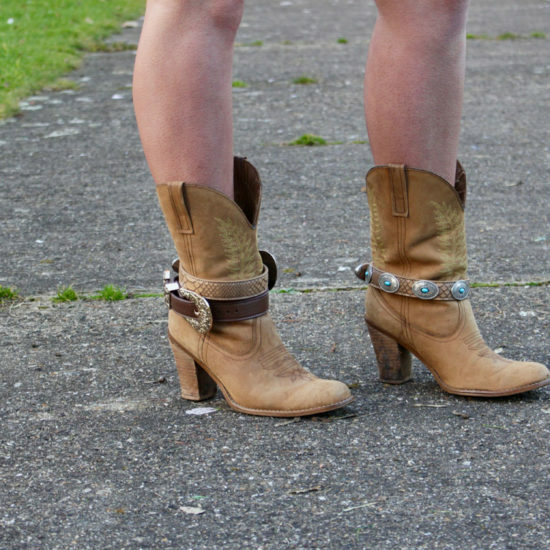 Turn any boot into a gem with this pretty JuJu piece.